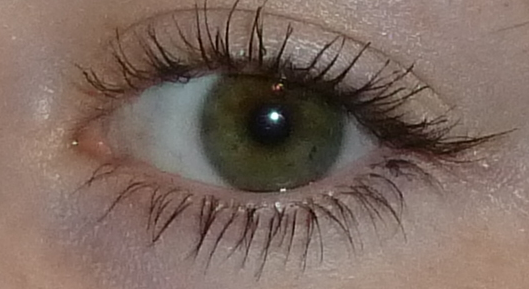 I just thought I'd do a post on the Estee Lauder Sumptuous Extreme Mascara I got for Christmas so you can see the results it gives. The shade I have is Extreme Black. I only ever wear black mascara even though I did buy a few coloured ones from MUA a few weeks ago but I haven't tried those yet. "Sumptous Extreme Lash Multiplying Volume Mascara. Lashes seem to multiply, magnify and grow instantly. Three different high-volume fibers create dramatic build for a falsh lash effect. With conditioning and silkening Lash-Advancing Vitamin Complex. Lustrous color leaves eyes brighter and wider"
I can't comment on the conditioning effects of the mascara as I've only been using it for around a week but I do love the visual effects! The brush is quite big but it's easy to use. It does a great job of separating my lashes and creating volume as well as length. It lasts all day without crumbling or smudging. I even wore it at the gym yesterday and it stayed on throughout my workout so that's always a bonus! I find this mascara fine to remove with wipes, water and cleanser or eye make up remover. The packaging of this mascara is lovely too, a bit like YSL packaging which I love! 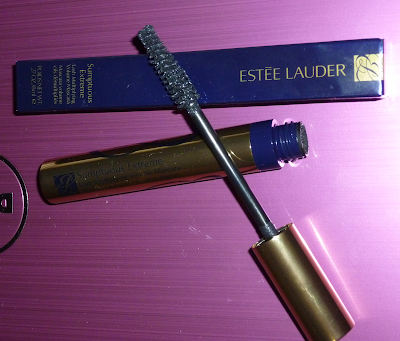 This mascara is rather expensive at £22.00 but I think it is worth it. I managed to get this in a set with a free mini eye makeup remover and Advanced Night Repair for Eyes for the same price so I was really happy about that. I would still re-purchase this again without those items though. Just had a quick look and found the set on the Boots website in case you're interested. What's your favourite mascara? Have you found any good ones lately? Let me know below.